Ageless and gracious are two words that spring to mind when you meet actor and director Angela Bloomfield. 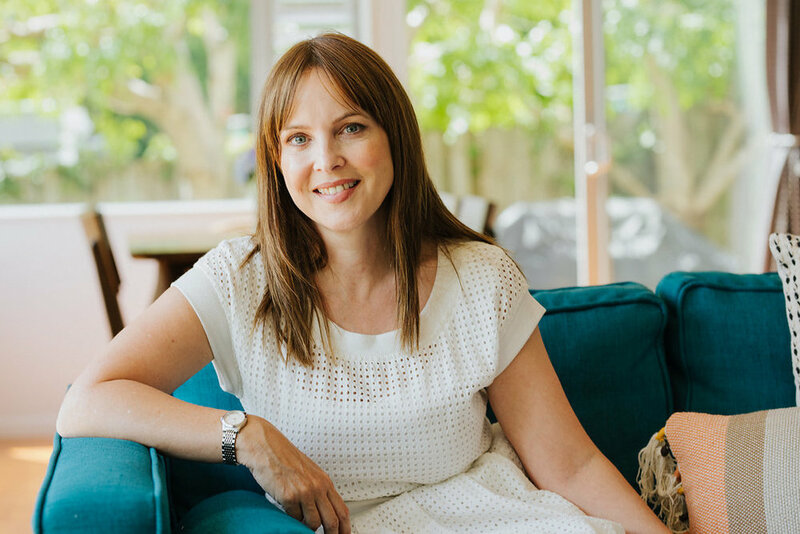 One of this country's most successful soap stars, editor Trudi Brewer was keen to learn her skincare, career and wellbeing advice. Here's a slice of her life. Not only has Angela Bloomfield enjoyed a celebrated career as an actor on New Zealand's longest-running television series, Shortland Street, she is also an accomplished director and mother of two. Here she shares her insights into staying well, keeping positive and learning new career skills. Bloomfield at home with MAC makeup artist Lochie Stonehouse. I didn’t choose acting – I studied architecture and design but landed a part on Shortland Street while I was at Unitec and it changed my life. I adore acting; I felt comfortable on set considering I was untrained. I loved learning about performance, and I still do. The opportunity to stay working just kept coming, and for that I am grateful. I moved into directing about 15 years ago off the back of being on screen in Shortland Street for around seven years. I believed I would struggle to get cast in new projects, as I was very well known for playing the character Rachel McKenna. It was an incredibly fortuitous event, being selected to train as a director. I feel very comfortable directing and all my years as an actor has made me a better director. Recently I was so moved by the documentary '13th' directed by American film director, Ava DeVerney I am now inspired by her work. I watch a crap load of TV, and the American director Lesli Linka is another favourite female director of mine. She works on all my favourite TV shows including ER, Homeland, Mad Men, Ray Donovan and The Leftovers. Closer to home, Miranda Harcourt who recently co-directed The Changeover with her partner Stuart McKenzie is my idol. Miranda has a unique way with actors that I truly admire. Home life is considerably calmer since leaving Shortland Street; however, on a day where we all have to be out the door by nine, it's always interesting. Day to day, there is nothing typical anymore – I may be directing or writing or having an audition, however, I always try to fit in daily exercise. Telling stories and being part of that story is so satisfying. Having the ability to stir emotions in people, challenge their thoughts and entertain them is the goal. I love being around creative people in an environment where the art of discovery can be celebrated. What’s your career high to date? Great question. You stop looking at your career in this way when you are trying to make a living, but it’s important to remind yourself of your achievements once in a while. Winning a Moa at this year’s film awards for my performance in our short film Linda’s List was pretty amazing. It was great to see the film acknowledged, and although I was incredibly nervous accepting the award, it was pretty awesome to win my first acting award after 25 years in the industry. I’m a visual person, so aesthetic and how I view beauty is essential to me. We are privileged to live in a beautiful country and I believe connecting with nature each day can be beneficial to your state of mind. With regards to my beauty regime, it’s vital for me to take care of my skin and be mindful of exercise, it’s my job after all. But I have days like everyone when I can’t be bothered cleansing my face before bed or caring about what I eat – and I try not to beat myself up about it too much. There’s always a new day ahead - right? I don’t have any that spring in mind. If I think about women I admire – there are many for different reasons. Regarding beauty, people who have grace and presence such as Audrey Tautou or Emma Watson. Closer to home I would say, Prime Minister Jacinda Ardern, and my dear friend Amelia Reid. Appearance isn’t everything – it’s your heart and generosity, the way you treat others and the way you think that makes you beautiful. What skincare do you use and what is the one product you would never be without? 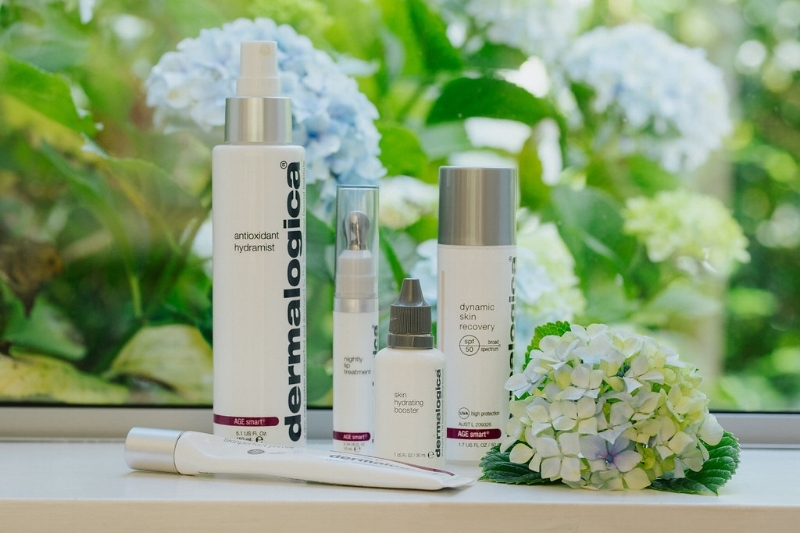 I’m a Dermalogica fan. My skin responds well to the products. I can’t live without is Dermalogica Pre Cleanse Balm it gets everything off my skin gently and quickly. Up until recently wearing make-up was mostly a work thing, but now my staple’s after moisturiser followed by Dermalogica Age Perfect Skin Perfect Primer, Yves Saint Laurent Touch Eclat Concealer and mascara, currently I am loving Clarins Supra Volume - and I always have lip balm on hand. What beauty advice do you find yourself sharing? Use a sunscreen daily - and it's important to stay hydrated. What is your top anti-ageing tip? Stay out of the sun – it’s a problem how dangerous the sun is here in New Zealand. If you like to wear a tan, get a fake one – I recommend ST Tropez or James Read Tan. Eat well and enjoy it – treat food is fine, but learning to enjoy eating healthy food is so beneficial for your body. Get amongst life. Surround yourself with people who invigorate and inspire you, we're all influenced by negativity and negative self-talk, being around people who lift you up rather than pull you down can make a big difference in your life. Finally, listen to the old and the young – we have so much to learn from others. I only like to use two at a time, because they do go off, and I hate being wasteful. Currently, I have Elie Saab and Daisy Dream by Marc Jacobs. However my favourites are fragrances from Issey Miyake, Gucci and Chloé. Bloomfield's favourite makeup and skincare buys including Dermalogica, MAC Cosmetics, Bobbi Brown, Yves Saint Laurent, Chanel and Giorgio Armani. For the better. That said, when I was younger I couldn’t understand when female friends were ambivalent about having children, or flat out did not want them. Now I am a mother; I respect anyone’s wish not to be a parent - it's a full time role. For me, it’s an absolute privilege to have a healthy child, and it does change your life but like any intense relationship, it asks for your time, patience, your heart and a tremendous willingness to learn. I choose to spend time with my children over parties and a tidy house. I figure they are not always going to want to be there to hang out with me, so I prioritise time with them now while I can. How do you stay so fit and trim? Why, thank you. I’m 45, so my body is ever-changing, and so too is my exercise regime and attitude. I have to do more, but what I do I enjoy. I make exercise a part of my life, not a separate thing. I love walking and exploring, biking is a favourite when I can convince the family to come. And I try and workout with weights and go to Pilates in between. When it comes to food, I am a grazer. I eat a little bit of everything – not for diet reasons; it's the way I like to eat. I don’t respond well to self-induced restrictions or rules of any kind, so I’ve learnt not to create them – they make me unhappy and are a waste of my time. Teach yourself to talk kindly to yourself and make that a way of life. It’s challenging because we are naturally wired to respond to negativity. Don’t be scared to look inwards and make choices about what you want from your life. Also rest and put your feet up daily. Being mindful about what is happening in my life - the influencing factors, be they people or what is happening around me and my thoughts – and finding moments of happiness. Life is crazy busy for most of us, and continually to question your happiness can be counterproductive. There are ups and downs throughout the day, the week, the month, so being aware and acknowledge them, and keeping learning is the only way I can live. If you celebrate your highs, you also have to find a way to embrace your lows. Good God, I’m not asking them. However, I would think they would say I scrub up alright. They might say I play it safe; I’m possibly projecting here. So let’s ask how I would describe my style? I make an effort when I go out somewhere important – sometimes I wish I made an effort all of the time, but it’s just not who I am. I have been lucky to work with cool people with incredible style, and each is very different. I have learned from them and taken the looks I like and worked them into my fashion choices. I’ve also had the pleasure of being dressed for photo shoots by very experienced stylists and have gained confidence in my fashion decisions through their guidance. Coop by Trelise Cooper and Karen Walker. I also like high street brands such as Country Road and Witchery. What handbag will you carry this summer? My Saben Dash bag in Steel Blue. Bloomfield at home, her Moa awards and Memento Mori artwork. I like inviting spaces, rooms where I feel comfortable. I’m not super attracted to minimalist environments – I prefer that lived-in feel to a home. Books, books and more books and a tube of hand cream at the moment it's Elizabeth Arden Eight Hour Cream. I like my entire house. I especially love the outdoor back deck area with the pool. It's private and has a lot of mature tropical plants and native trees, so everywhere you look is green. The watch my parents gave me for my 40th. The photographs I’ve taken and printed over the years and my Memento Mori artwork. Good friends gifted to me and it's designed to remind you of your mortality and the shortness and fragility of human life.